SAVE 35% This Month on the ENTIRE LEVOLOR COLLECTION! To get extra 5% off, use promo code LEVSALE. 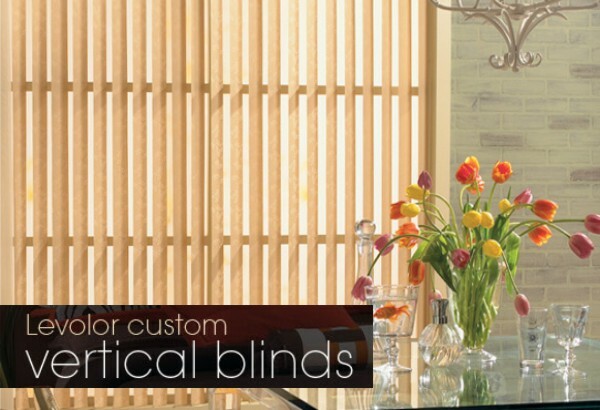 Levolor Vertical Blinds are perfect for sliding glass doors or wide windows. Upgrade your verticals with Levolor's exclusive BackStacker operating system enables the vanes to stack neatly on the outer edge of the window, preserving the view to the outside.